These far out frames have a retro feel that will give your outgoing mail a groovy finishing touch! 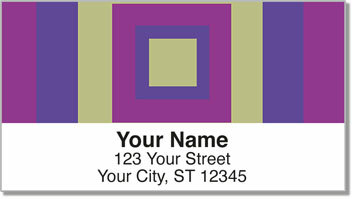 The design of these return address labels is almost hypnotic. The funky frames featuring complementary color combinations seem to fly off into infinite. But making your letters and packages look cool isn't the only thing you want. The best part about this product is how it makes everyday life a little easier. 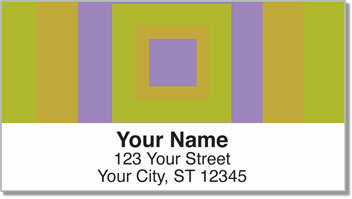 Thanks to a convenient self-adhesive backing, all you have to do is peel and place your labels on your outgoing mail. 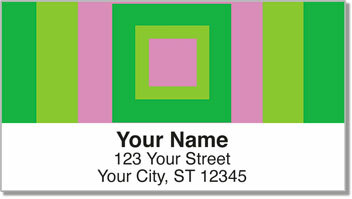 It's a quick and easy alternative to scribbling out your name and address over and over again. 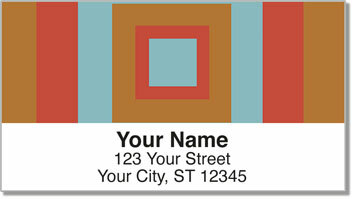 Order your own Retro Frame Address Labels today! You can also get matching checks!